In search of his missing boy, a man hires a group of local, rugged cowboys to help navigate the rough paths through the dangerous territory of the Black Paw Indians. As they journey through an mysterious, ancient burial ground, their own greed threatens to tear them apart as the posse turns on itself. 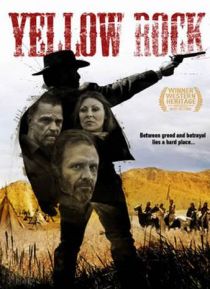 Full of gun slinging, suspense and deceit, Yellow Rock is the will thrill the Western lovers and … action fans alike!